Features come in many flavors. Depending on your tastes you will probably focus in on one or two of your must-haves. For some, it may be as simple as a remote control that lights up. For others, it may be something a bit more au courant like Apps or voice controls. I will admit that when it comes to the proliferation of features on many of these new TVs, life used to be much simpler. But those less complicated TVs provide a good benchmark for your new purchase. If you are a traditionalist who just wants a TV to watch sports and your favorite prime time programs, then a lot of the new buzzword features shouldn't be that important to you. 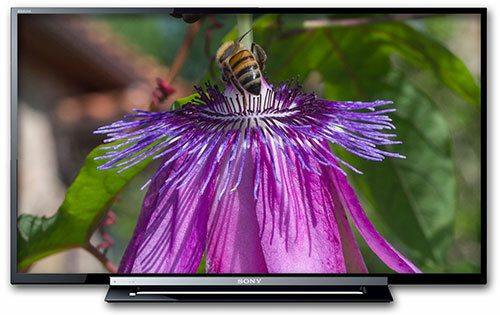 Luckily, a number of manufacturers have heeded your pleas and are producing no frills TVs that are also less expensive. 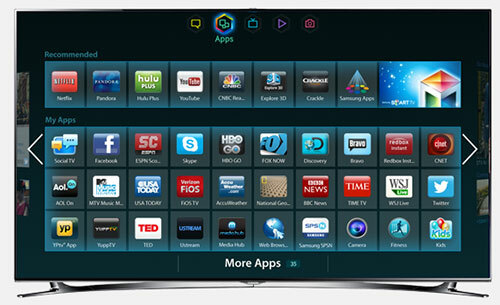 Now if you are a feature junkie, the buzzword for the last couple of years is "smart" as in Smart TV. Basically, a Smart TV is one that can be connected to your home network and the Internet allowing you to access media assets, like photos or music files located on your computer or a server. Even more important for many who have grown up suckling on the web, a Smart TV can connect directly to the Internet without a computer as an intermediary. Early Smart TVs usually provided an interface in the form of widgets, little icons that you can overlay on your TV screen like Yahoo widgets for news, weather and financial data. But more and more, TV designers are trying to replicate the tablet and smartphone experience by supplying apps, apps and more apps, which can be downloaded from an on-screen apps store. Before you get too excited about the possibilities, let me mention a few caveats. First, for many TVs, the remote control is your data entry device. If you are searching for a title on YouTube, you'll quickly wish that you had a keyboard. TV designers are addressing the interface with a number of approaches. Many manufacturers are supplying apps that will turn your smartphone or tablet into a TV remote, which can facilitate data entry. Samsung and others are also developing voice and motion controls. From my experience, these technologies are progressing but are still a bit too awkward and unsophisticated. Maybe by 2014 we will see an intelligent, natural voice recognition control system. Second, a Smart TV needs to be connected to the Internet, which may be a logistical nightmare if your router is in another room and you have to run a Cat 5 network cable down the hallway. Though many manufacturers are offering TVs with built-in wireless adapters that save you the headache of snaking Ethernet cables. Of course, you will need a wireless router, definitely an 802.11n variety. Even then I prefer the reliability and speed of a wired solution. Wired or wireless, speed is important especially if you plan to stream high definition content like movies. If you are serious about obtaining good picture quality from streaming video sites, you will need fairly fast and robust bandwidth from your Internet provider, ideally over 10Mbps. Also, not all TVs offer the same Internet content providers. If you have a favorite, check to see if the manufacturer has partnered with them. Finally, most of these streaming services are available through other equipment like Smart Blu-ray players or boxes like Apple TV. It may be cheaper to buy a Smart Blu-ray player than to upgrade your TV purchase. If a TV doesn't connect into a home network, the next best option is a TV with a USB port or SD card slot. It allows you to attach a flash drive, (like the kind that comes in digital cameras), and access photos, music or video files. Viewing photos in high definition splendor is highly rewarding. A new connectivity method called MHL (Mobile High-Definition Link) is becoming more prevalent in 2013 TVs. MHL enables the TV to communicate with a connected MHL-compatible device, like a smartphone, which allows you to play photos, music, video from the device on to the TV. 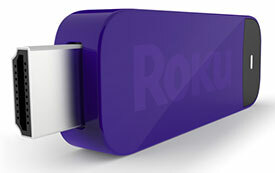 Also, if you buy a non-Smart TV with MHL, you can plug a Roku Stick into the MHL port. 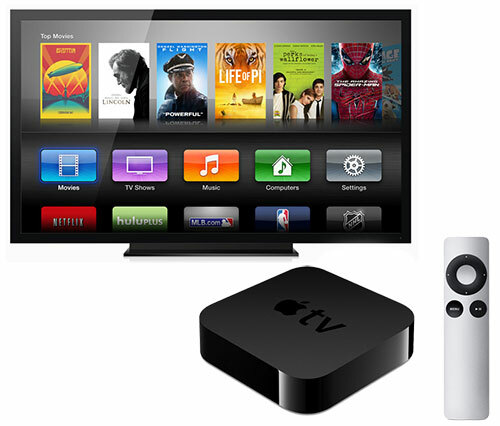 The stick has an integrated wireless adapter and the device can stream content providers like Netflix to your TV. TV designers are also beginning to expand the idea of a Smart TV beyond its ability to connect to the Internet. Software is being developed to make new TVs more "intelligent". The more and more you watch, the TV "learns" what you like and then it will make recommendations of what programs you may want to tune in. Not all new TVs provide this feature. And if you are like me and feel it is a bit creepy, you can turn it off. If you have been following along with past versions of this Buying Guide, you realize how fast once heralded features fade into the background. A prime example is all the hubbub over frame rates that has quieted to a whisper in the last couple of years. I hesitate to rekindle the topic, but you might run into a salesperson that hypes one TV over another because of its supposedly superior frame rate. Also manufacturers still list them on their TV's spec sheets. Briefly, frame rates are stated in numbers like 120 Hz (or frames per second) and the term only applies to LCD TVs and not Plasmas. When implemented well, higher frame rates will smooth out fast moving action. You can now find TVs with frame rates of 480Hz and beyond. Though, from my day to day viewing experience, I'm not enamored with higher frame rates. If I am paying a premium for a 240Hz or 480Hz TV, I will look elsewhere to spend my money. If you need a refresher, I explained frame rates in detail in my review of the 240Hz VIZIO SV471XVT. I realize that explanations like this can make you dizzy. I'm feeling a bit queazy myself. The bottom line is that you have to look past these terms and gaze intently at the image on the TV. For the majority of buyers, perhaps the most important feature is the TV's ability to provide you with a great picture right out of the box. And I'm finding that TVs from the major manufacturers are delivering with a simple selection of Picture Modes like Standard, Cinema and Vivid, one of which should satisfy most people who are repelled by the prospect of having to tweak their TV, let alone crack the manual. If you are an inveterate tweaker that can't wait to tinker with a robust set of picture settings, often you can locate the TV's manual online at the manufacturer's website and check to see what controls are provided. If you are a loyalist, all you need to do is see your favorite logo stamped on the TV. Shopping is done, life is simple. I won't discount this method of choosing a TV, especially when Brand allegiance is based on a history of consistent quality and great customer service - not just nostalgia. Of course, in this corporate climate of mergers and acquisitions, Brand names have a tendency to disconnect from their historical roots. Also, you may miss out on a newcomer that offers quality products at a competitive price.